We’ve all seen them. We recognise the sharp, sleek features and slim, aristocratic body. Who can forget their `meow’? From wherever it is uttered, it snatches your attention one way or the other. 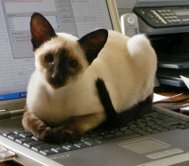 The Siamese have been around for centuries and today, are one of the most popular breeds of cat in the world. Cat historians say these amazing creatures were first mentioned in a 500-year-old manuscript in the National Library of Bangkok. Then a poem was penned about them in the Cat Book of Poems, an illustrated scroll published in Siam during the Ayutthaya period of Thailand (1350 – 1767). The article states that what is believed to be the oldest recorded document describing domestic cats, the scroll refers to the Siamese we know today as Wichien Mass, which means Moon Diamond. In 1871, these striking cats took England by storm following their exhibition on one of the first cat shows in the 19th Century. Moon Diamond Cats have lithe, short cream-coloured coats melting into dark, chocolate points at the ears, face, paws and tail. This unusual colour distribution is, apparently, the result of a heat-sensitive albino gene. The gene fails to work at normal body temperatures but becomes active in cooler areas of the skin, hence the darker colour in the cooler parts of the cat’s body. The albino gene is a recessive gene which both parents have to carry in order to produce offspring of Siamese colouring. 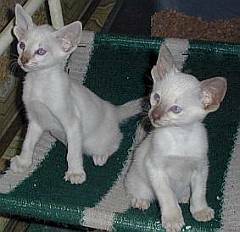 All Siamese cats are born pure cream or white at birth but develop the darker points during the first few months of life. However, adult cats living in warmer climates have lighter coats than those in cooler habitations. 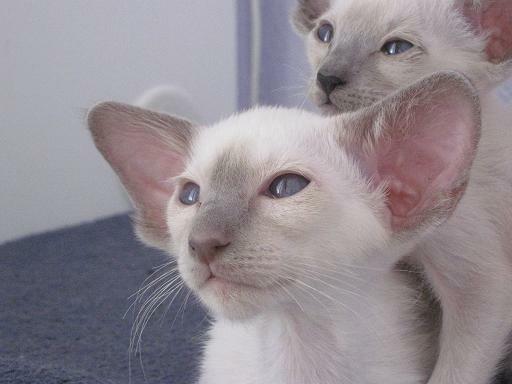 Siamese kittens bred by Samoa Gems Cattery, South Africa. Left - silver, right - choc point. 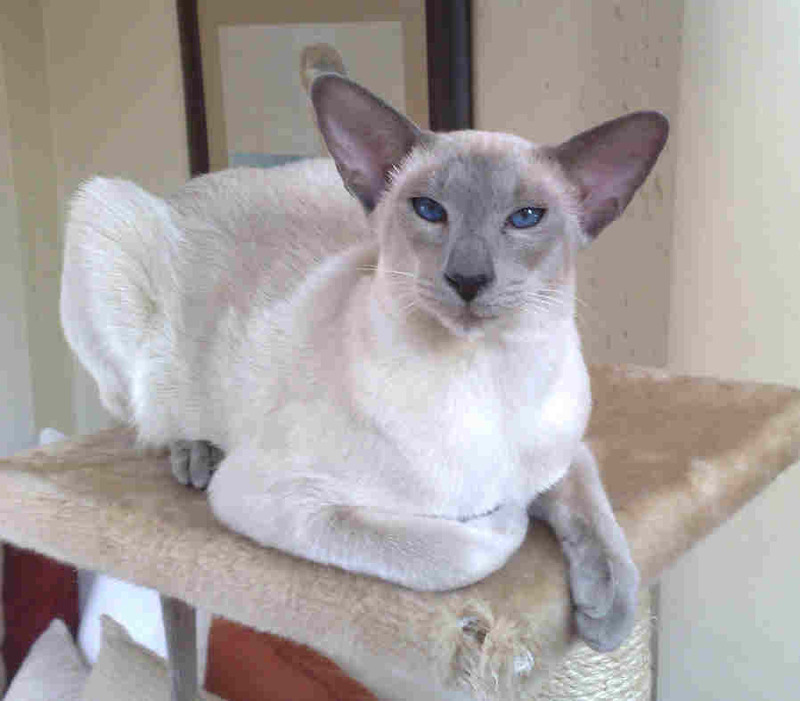 Siamese cats have slim but muscular bodies; their oriental-shaped eyes are a deep, vivid blue. The classic, wedge-shaped head, large ears and long, slender tail are key features with this elegant creature. They are friendly, people-loving creatures which can be demanding and dominant, but which will usually get on well with other cats. They are intelligent, social and can be extremely vocal. These creatures have dominated palaces and have kept company with kings and rulers for centuries. Siamese kittens are curious, so keep your kitten away from the swimming pool in case it falls in and drowns.